Marion Pet Surgery. Laparoscopic and TTA Dog/Cat Knee Surgeries. Marion Minimally Invasive Surgery. Your pet deserves only the best veterinary surgical care. Dr. Scott Yancey and the staff of The Yancey Clinic of Veterinary Medicine perform a wide variety of surgical procedures for your pet. We are dedicated to your pet's safety and comfort and it is our goal to provide your pet with a pleasant and comfortable surgical experience. Dr Yancey has professional interests in orthopedic surgery, focusing primarily on pet knee injuries. Two common knee injuries seen in dogs and cats include Anterior (Cranial) Cruciate Ligament Rupture and Patella Luxation (Dislocation of the Kneecap). Below are articles describing these topics. The Yancey Clinic of Veterinary Medicine in Marion uses advanced surgical laser technology for many surgical procedures. Laser surgery is extremely beneficial for your pet. Compared to surgical procedures that use a scalpel, laser surgery causes less bleeding and less tissue damage. Because the laser seals the nerve endings as it cuts, swelling is reduced and your pet experiences less post-surgical discomfort. Laser surgery allows your pet to recover more quickly from surgical procedures and improves quality of life for both you and your pet. The Yancey Clinic of Veterinary Medicine believes that any surgical pet procedure we perform should be as minimally invasive as possible. By reducing the impact on your pet’s body during surgery, we are able to reduce the pain he or she will experience as well as speed recovery time. We also believe that minimally invasive surgical procedures are a far more humane way to treat a beloved pet and demonstrate a level of compassion that is important to our medical staff and clients. Our Marion veterinary clinic laparoscopic pet surgery involves creating a set of small incisions through which a camera and surgical tools can be passed through into the body. The camera has the added advantage of projecting magnified images of internal organs and structures onto a computer screen thereby enhancing your veterinarian’s visual acuity during the surgery. Once the procedure is complete, the veterinarian removes the tools and closes the small incisions. The Yancey Clinic of Veterinary Medicine in Marion uses this minimally invasive pet surgical technique for spays as well as exploratory surgeries, biopsies, cystotomies, cryptorchid (undescended testicle) castration, surgery of the ear canal, and many other soft tissue procedures. To date, Tibial Tuberosity Advancement surgery - TTA - is the most effective surgical treatment for correcting anterior cruciate rupture. Results from The Yancey Clinic's TTA surgeries are consistently good and usage of the leg returns more quickly than with other surgical techniques. Dr. Scott Yancey and the veterinary medical team at The Yancey Clinic of Veterinary Medicine are experienced in performing TTA surgery. 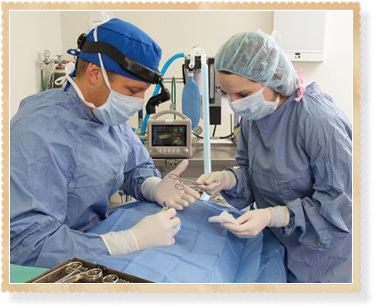 Your pet's safety and comfort during surgery are our highest priorities. Before surgery, we perform a complete examination of your pet, in order to detect any abnormalities that might complicate surgery. This exam also helps us develop an anesthetic protocol for your pet. During surgery, we use modern anesthetic procedures so that your pet remains comfortable and pain free. All patients undergoing anesthesia are monitored for changes in blood pressure, heart rhythm (ECG), temperature, respiration rate, and blood oxygen levels using a Cardell 9500 HD Multiparameter Monitor. A trained veterinary technician is also present during surgery to monitor your pet's condition. Your pet recovers from surgery more quickly when he or she is not in pain. Your pet receives pain medication before and after surgery. 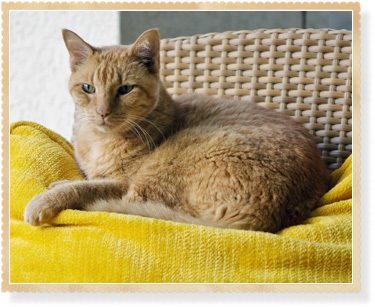 We develop each pet’s pain management protocol on a case-by-case basis. We may also send home pain management medication with your pet when he or she is discharged from the hospital.